Aloha!!! I am soooooo late, you know when you have a day like no matter how hard you are trying to get things done in a timely manner is just not happening? Well today was that day. Ooh lala springs to mind right? I love, love, love this FREE stamp set, so very sweet and if you like colouring you will love this set A LOT!!!. 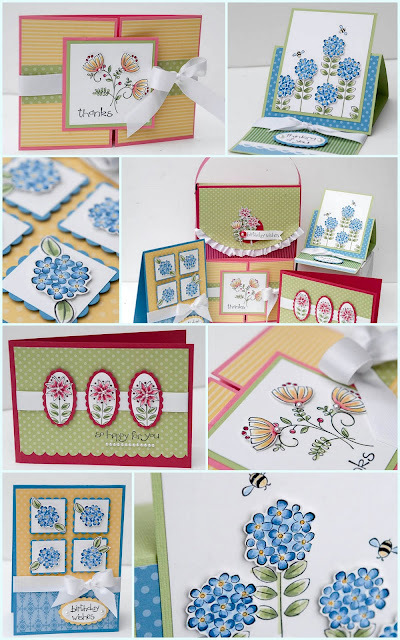 The Subtles Bundle has been designed around the Subtles Collection and it features the FREE Sweet Summer stamp set. The cost of the bundle is £ 47.20 plus 3.50 postage and it includes. Receive all 10 markers from the Brights Collection, markers are my most used colouring medium and the projects will highlight a few techniques using them. You will never be short of a great colour combination with this stack, trust me you will fell in love with it. I love these gorgeous flat back self adhesive pearls, so easy to use and will add glamour to any project in a heart beat, just FAB ! !just FAB !! I believe every crafter should have this glue in their craft bag , is a wonderful silicone based glue only the tiniest amount is needed for a strong bond lasts forever too, I wouldn't use anything else now. Sweet Summer stamp set- Free with any £45 order this is a really sweet set it has 9 stamps in it, available in wood or clear please state your choice. You will also get typed and Mailed Instructions for all the projects plus Videos that show all of the projects featured in the bundle. The 12x12 designer paper stack will allow you to create endless colour combinations, the colours all coordinate and intertwine beautifully to allow you to create beautiful projects with ease and no headache, the fact that you will have the exact colour ink for each of the colours in the stack will give you even more flexibility and allow you to confidently create lots more projects. To re create the projects entirely you will need some additional card stock and various punches. I do give suggestions in my videos on how you could achieve similar results without those, however if you would like to add any additional items to your order please let me know, orders over £60 receive FREE POSTAGE. To purchase the Subtles Bundle with the Sweet Summer free set EMAIL ME today. Hi Monica, love all of these, very pretty and sounds like you've been busy,busy,busy today. All your cards are adorable, so fresh and fun!! Love your flowers. Oh wow Monica, they are all so beautiful! I must have that set now! 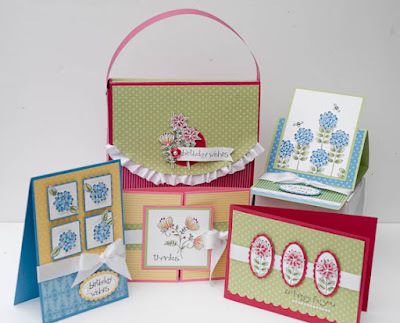 I love these cards Monica and the colouring and shading is so effective. I especially like the blue. I really need to perfect my colouring techniques a bit more to meet your standard. Oh my gosh what lushness Monica! Absolutely stunning... wish mine turned out half as good as yours! Monica - I love the way you've used colour on these - just gorgeous! Thank you for sharing. '''. The sooner you memorize some chords, the easier will be for you to perform plenty of styles of music. Best Regards.